The Shliach in question, Rabbi Yossi Shemtov of Toledo, Ohio, and the Rabbi in question, Rabbi Ed Garsek of Congregation Etz Chayim of Toledo, had enjoyed what the Shliach thought was a warm relationship. 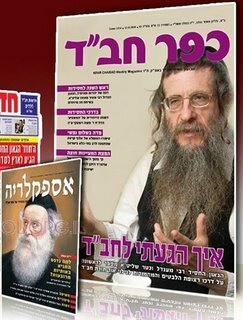 At times the Rabbi even joked about having Rabbi Shemtov replace him, if he made Aliyah. Until one day, the Shliach finds out that the Rabbi is bringing a Yeshivah of people of not the highest caliber - among their low qualities is their "hatzlacha" in promoting Machlokes, including with Chabad - to Toledo under the auspices of his Congregation. One would expect that in a true friendship, if a Rabbi had an idea - to bring a Yeshivah to town - he would approach his colleague and friend and discuss this. Perhaps they will bring a Yeshiva of Chabad bochurim. Perhaps they will bring a group of Kollel gentlemen who will be friendly to the both of them. Perhaps even a joint venture, a mixture of various types of rebbeim, including Chabad. Perhaps the Rabbi might think this something particular to discuss with Rabbi Shemtov, as Rabbi Shemtov has brought a Yeshiva of bochurim every summer for a few years to make Torah study available for the Toledo Jewish community. As the Rabbi did none of this, it was quite clear to the Shliach that their friendship was over, and perhaps had never existed on the first place. He privately discussed this with the Rabbi. He asked him, perhaps begged, not to do it. He never spoke of this publicly. May Harry Maryles vasayato snag themselves to hell. 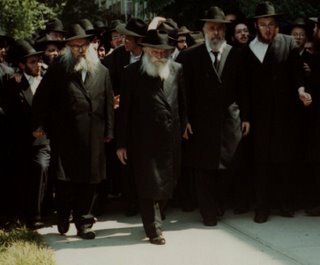 There was a story in COL after the passing of the "ברך משה" of Sighet-Satmar that he came to the Rebbe together with other Rabbonim (The Shoproner comes to mind) after the attack on Satmar began then. This was in the late '50's, and things like that were just not done in those days. 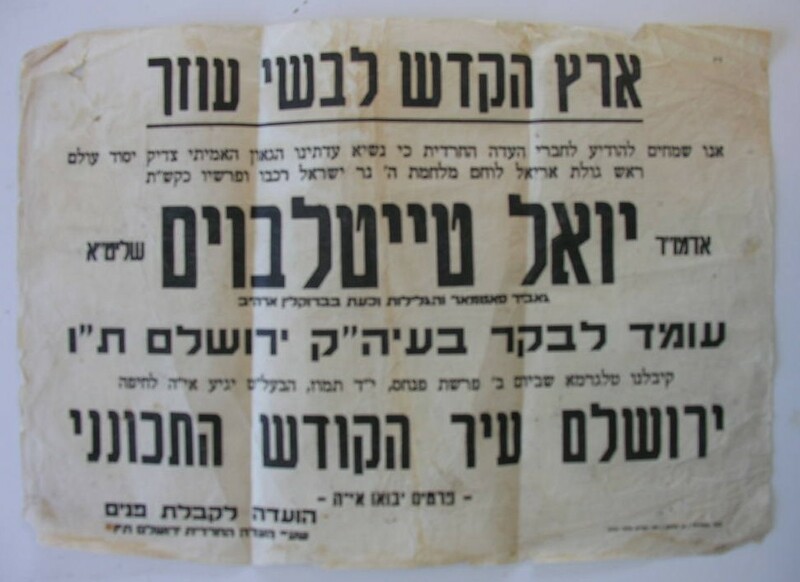 They wanted the Rebbe to support their position, and the Rebbe did, even speaking about it at the next Farbrengen! No. Chaim Lieberman is not the librarian and friend of the Gurarys. Harry Maryles wants us to "come home." All Kiruv is done just to augment their numbers, He says, They don't have the pure, lofty goals of Aish and Or Somayach. They also disrupt others from doing any Kiruv, just ask his friend from a "small midwestern town." After all, a pure soul like himself surely tells it like it is, and all details have surely been told, right? "And their successful Baalei Teshuva were all mainstreamed in those days. But no more." I guess that figures, since their Mashpi'im don't teach them how to. 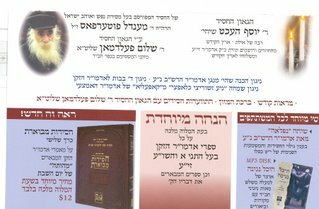 "There is hardly ever a word ever mentioned about Lubavitch or the Rebbe in the publications like Artscroll or Feldheim the two power-house publishers of English language Judaica. There is never any mention about Lubavitch in the classroom. And in private conversations between Rebbeim and Talmidim, if it is ever mentioned at all, it is usually in a negative context." I guess it's Lubavitch's fault that Nosson Scherman chooses to ignore Lubavitch. They should do what about that? What happens to these people? is it the air in Skokie, IL where Harry Horreved in learning that distorted his train of thought and prevented cohesive thoughts from becoming sentences? I know Reb Chaim Zimmerman certainly had nothing to do with it. Reb Aron Soloveitchik, who he conveniently disagrees with when necessary, certainly had nothing to do with it, so where? Can you ostracize a community, degrade their Mesorah and Rabbeyim for generations, ridicule all their accomplishments, steal their ideas, and still expect them to join YOU?! Of Nikolayev. The Rebbe's uncle, his father's brother. COL asks "מי מכיר מי יודע" and a reader answered it was Reb Shmuel, brother of Reb Levik, the Rebbe's father. I remembered the pic in the SH and scanned it (see below.) Sorry about the quality, that was the best I could do under the circumstances. It is him! 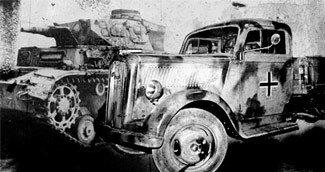 The pic was taken by the Soviet authorities and was discovered in his file that was just located. 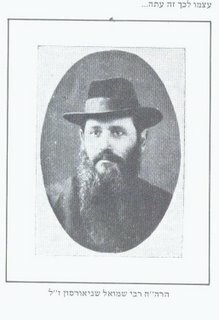 Reb Shmuel was married to another daughter of Reb Meir Shlayme Yanovsky, sister of Rebbetzin Chana, the Rebbe's mother. Reb Shmuel hesitated, but The Rebbe Rashab OK'd the shidduch as long as they lived in separate cities. He was killed Al Kiddush Hashem by the Nazis during WWII. Rabbi Dr. Weisz-HaLivni as a young lad of 11 years old in Marmures with his Mother Feige, Aunt Ettel, Zeide Reb Shaye, and sister Chana Yitte. One of the worst tragedies of the Holocaust was that children were exposed to the greatest horrors and later lived for decades without being able to express their emotions. I had 4 grandparents who survived the camps, and the most I heard was names of places, nothing about experiences. 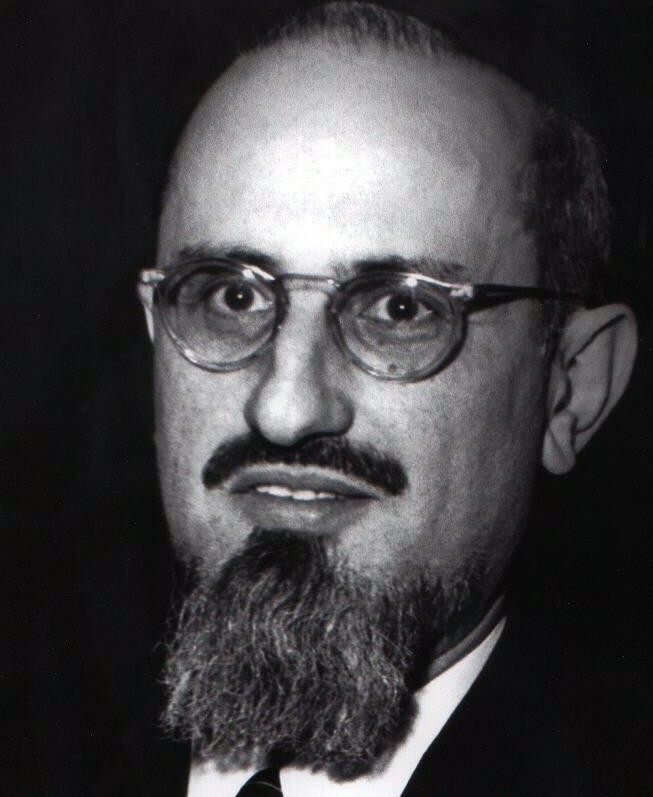 Rabbi David Weiss Halivni is a scholar of Talmud and a Holocaust survivor, originally of Sighet, Hungary. 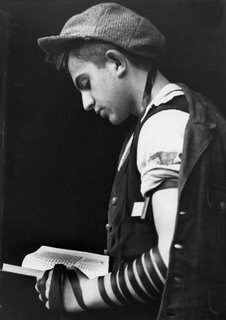 "He studied for a short while in the Yeshiva Rabbi Chaim Berlin in New York. 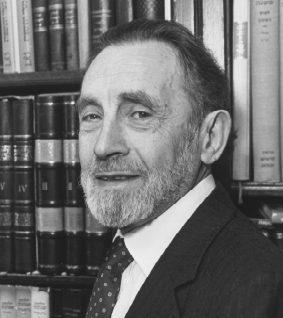 He is the author of Mekorot u'Mesorot, a projected ten volume commentary on the Talmud. He is also the author of the English language volumes Peshat and Derash, Revelation Restored, his memoirs The Book and the Sword and others. Rabbi Halivni also served as Littauer Professor of Talmud and Classical Rabbinics in the Department of Religion at Columbia University. 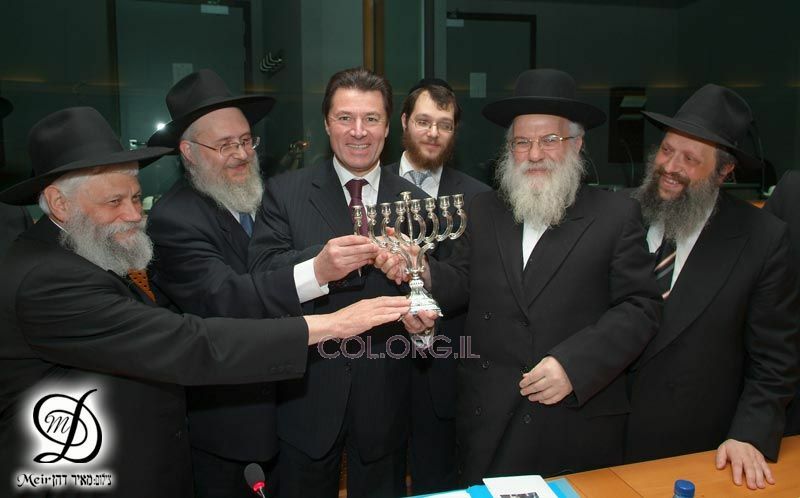 He is the Head of the Metivta of the Union for Traditional Judaism. Dr. Weiss-HaLivni is married to Dr. Zipporah Hager-Halivni, formerly of the Chemistry department in Columbia University, daughter of Reb Boruch of Vishiva, son of Reb Menachem Mendel of Vishiva, son of the Holy Reb Yisroel of Vizhnitz, the Ahavas Yisroel. What does that say about Vizhnitz? Absolutely nothing. The typical excuse, not that it's necessary, is that she was a Holocaust survivor, and thus devoid of a Chasidishe education. He has the same excuse for his "source-critical-analysis" of the Talmud, I guess. Let's see if the "how many Frum Schneersohns are there" crowd sees this as a condemnation of Vizhnitz and its great heritage. 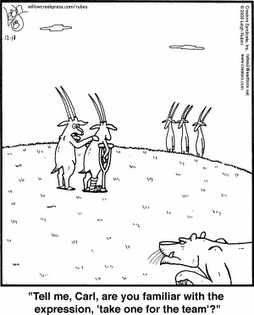 Ok, so we have a new candidate for the firing squad, but turnabout is fair play - it's only fair to put DovBear under the microscope; poetic justice of a sort, I guess. I'm not a DB contributor, but I read him from time to time. I find his approach very sad, depressing really, so I take it only in small doses. Where is the soul in his words? Where is his heart? What is his Yiddishkeit? When I read him, I only hear the cold-water, lifeless voice of doubt. I only see the leftist run-of-the-mill talking head who beats anything that has a little life into submission. Where is the future in that? Where does that lead but down? For a guy who was exposed to words of the living G-d, I'd expect more. For a guy that does do some good on this world I'd expect more. Sure, it's fun to be the uber-rationalist, the super-critic, and the smartest guy in the room. It's a great rush to "swing it around," and define yourself as part of the revolution – full with "good guys" (FM) and bad (Chareidim). It always feels good to be the sophisticate with a doting following and a bellicose opposition. I get it. But it saddens me. It saddens me for him and his wife and family. But it makes me wonder, where does it come from? Is it that chinuch that promotes thought leads one down the prim rose path to SoHo Judaism – to the New Age empty platitudes with a salting of high-falutin word and ideas? Is it because rationalism is the sure-fire road to a simplistic 3 dimensional physical universe? Or is it a rebellion; the excitement of coming of age – the sudden realization that words are powerful. Maybe it's all just another example of the base ego and all its drives pumping through the veins of young men across the world, and throughout history. Hopefully he moves on at some point to a more idealistic place. Ok, so DB got exposed, and in Liberal fashion he apologized so all must be forgiven (yeah, what a bunch of hooey). But DB isn't a bad guy, and I think that all thought IS good – as long as he gets somewhere meaningful one day. Unfortunately, the track record of history shows that many don't. DB, I think this may be your big break. Getting caught with your pants down is a chance to start again. Used to be that I thought that the Hey Teves celebrations were a bit much. After all, it's only a Yerushah case, not unlike previous generations. That was before I read up about the case, and most importantly, read what the Rebbe had to say. The case that lead to Hey Teves was, as the Rebbe said, a Milchomoh kegen dem Alten Rebben, plain and simple. It may not have seemed that way from the outset, but what transpired over the years of trial and appeals, and the kinds of people that came out of the woodwork to help the G Family, definitely proved that. Any undesirable character that ever had a "beef" with Lubavitch, and some that just hated Lubavitch for no particular reason, saw this as a Jihad no different than the current one in Iraq, and came to fight the "evil empire." What started out as a desparate man trying to make a few bucks by selling books (possibly to pay for medication for that back condition he had?) snowballed into a challenge that the Rebbe had never faced, a challenge to the right to the throne of Lubavitch leadership. 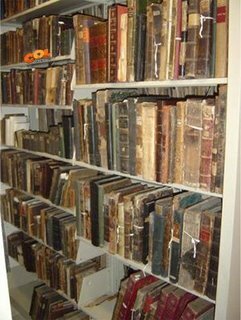 I believe, that had he played his cards right, and gone directly to the Rebbe, and asked for permission to get some books, he may have been granted limited access. But greed got the better of him, and in the end he made a name for himself as the most hated character in Lubavitch history. In the trial 35 years of greed and jealousy bubbled to the surface, and the vicitims of their wrath were many, including the Frierdige Rebbe, who they claimed to inherit, himself. 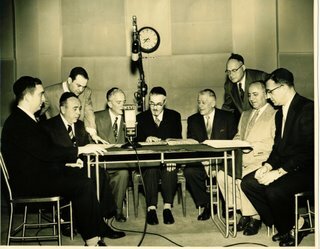 Truth be told many Lubavitchers could not understand at the time what the Rebbe was so upset about, and why it needed to be aired in public, since it seemed to be an internal family dispute. They too were quick to learn what the real intent was. So, this year on Hey Teves, when you see others sing and dance, and you wonder what the big Nitzachon was, remember guys like Yaakov Shimon aka Fogel Cohen, and many in the Satmarer community who sprang into action to "help" the G's and embarrass Lubavitch. Realize that their sole intention was to show the world that the Rebbe was Chas Vesholom not the Mamshich of the Shalshelta DiDaHava of Nesi'ei Chabad. That would in turn excuse their existence and the fact that they harrassed and attacked the Rebbe and Lubavitch for decades for absolutely no reason. I too realize this now and have much reason to "celebrate." I went out and spent 150 dollars at the Heichel Menachem Seforim sale, as per the Rebbe's instructions. So I write a few unflattering words about one of their Gedolim and these guys get all up in arms! Cursing like sailors and using the most vile, perverted language known to man. Is that how you stand up to what you perceive as Bizayon Talmidei Chachomim, by profaning your mouth and being Machshil other Yidden by making them see this kind of garbage? Now I have to turn Comment Moderation back on and hope that I can negotiate with these people. That means no instant gratification for a while, you'll need to wait a bit to see your comments. Hopefully we'll iron out our differences and be back to normal shortly. I thank you for your patience and understanding. I guess Snags can dish it out but they can't take it. Typical. How fitting that I see this piece of news on יום אידם. Seems like many of the Radical Religious Rightwingers will have a happy holiday after all. Truth be told I had much dislike for the man when I first began to read his works. It wasn't so much the message he portrayed than the way he said it. The total scorn and disdain, without a morsel of common decency or respect was more than I could handle. Then I started commenting there a bit and he responded, and some of the anger in me subsided. He comment-mined my comments and links were exchanged, that also helped give the man a human face despite his writings. (or were they his at all?) My blood still boils when I see certain topics discussed, but now it's a bit less personal with me. 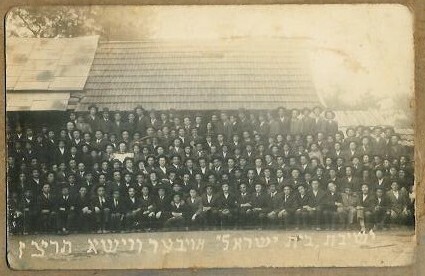 On sale here is a postcard picture of the Yeshiva in (Ober)Vishiva, Marmures, headed by Reb Menachem Mendel of Vishiva, eldest son of Reb Yisroel of Vizhnitz. 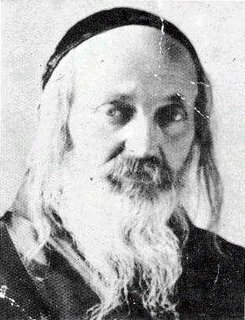 1937 was the year Reb Yisroel passed away, on 2 Sivan, one year to the day of the passing of the Minchas Elozor of Munkacs. 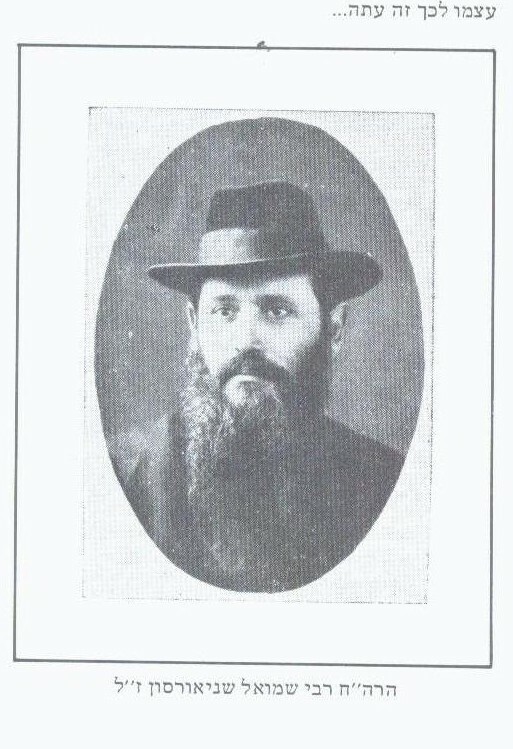 Reb Mendele, who was considered the most Gerotene of the children, was visiting with his in-laws in New York when his father passed away, and arrived only weeks later. He thus lost any claim to the Rabistive that he may have had. His father the Ahavas Yisroel would say about him: "A shame that such a Talmid Chochom has a boor for a father!" 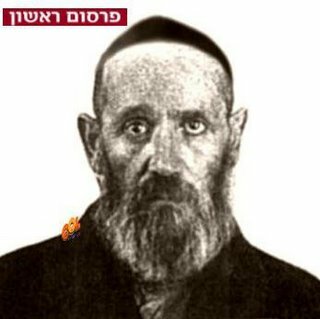 Supposedly the descendants of Reb Mendele, who see today that Vishiva has no real continuity, still bear some ill will towards the family of Reb Chaim Meir, a younger son, for "stealing" Vizhnitz from them. They say that since their Zayde was in America at the time the Ahavas Yisroel passsed away they should've waited for him to arrive home before crowning a successor. So some of them sit and sulk. 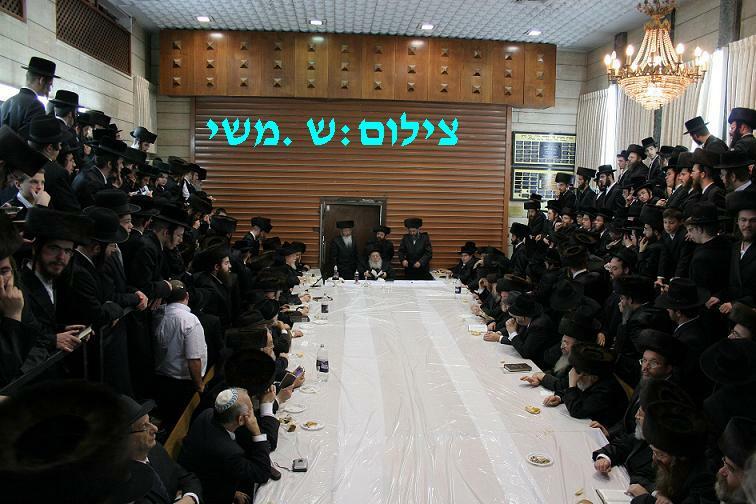 A friend of mine who's Zeide is a Vishiver Talmid, and may or may not be featured in this picture, tells me that his Zayde sees it as a blessing that his Rebbe wasn't chosen to be "official" Rebbe. "Imagine if he'd have become Rebbe," he says, he would then need to occupy himself with the needs of the masses, and they were many. Requests like "Rebbe, De Ki get nisht kan Millech,", Rebbe, De tuchter vil nisht melken de ki," would be his preoccupation. 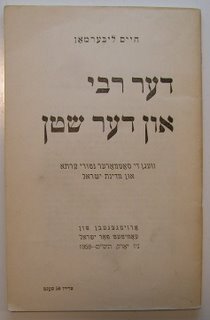 Although this is part of what the Baal Shem Tov wanted when he founded the Chassidic Movement, Reb Mendelle was "ah shtick Toyreh", through and through, and would much rather occupy himself with educating young men in Torah. This he could do only through staying in Vishiva and running the Yeshivah. Besides, plenty of Yidden from Marmures came to him as a Rebbe anyway, because the Vizhnitzer Hoif now located in Grosswardein, was too far away to travel to. 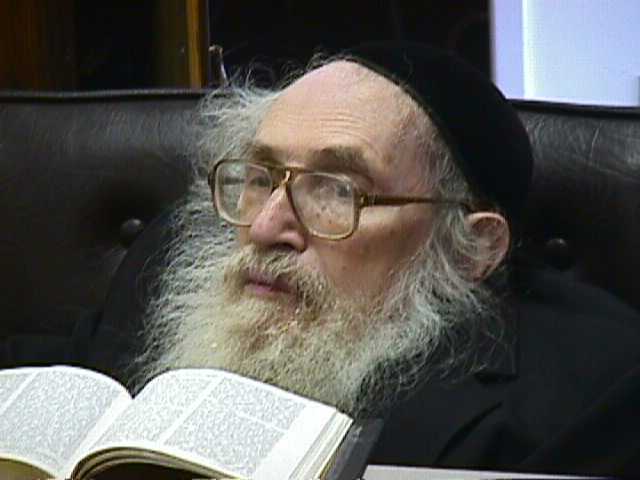 Reb Mendelle passed away in 5701. "One morning Rav Hutner took several of his talmidim from Chaim Berlin in his car (with his driver) for a ride to Prospect Park (Brooklyn) on a crisp October day. They got out of the car and walked to the pond in the middle of the park. Rav Hutner instructed the group of 3 bochurim to look at the lake and pointed out that you could see the bottom of the pond. "This mind of the Chazon Ish is as clear as this lake", Rav Hutner said. Then they returned to Chaim Berlin." Ich Vil Farshteyn, nothing more. I'd like to understand how the other side thinks, what they see as greateness. I know what they don't see. I asked an intelligent, unbiased friend of mine what the point of his taking these Bochurim there was. He says that if the point was to define the greatness of the Chazon Ish, and to get the Bochurim to understand what he means, then he did succeed, although he could've done the same with a cup of good ol' fashioned NYC tap water. I don't buy that. There was some sort of gimmick here, some round-about way of showing them HIS "greatness" I'm just not sure what it may have been. S'Iz nit Mashma that there was some sort of issue the boys had with the greatness of the CI. I just don't understand why RIH saw the need to do it, and what the great Gadlus is in the story. Why is this a story of a Tzaddik that you recount at his Yohrtzeit? I'm sure of our great ideaologue readers can enlighten me and all of us. they're to be used as a reference only, Lesaber es HoEyzen. of printers and publishers. turn of the century. A Lange Megillah from the Yated about the Roms. Believe what you wish. This still says nothing about the Rashash, or his son. Not very sympathetic, are they? This topic is discussed at great length, and my point is not to cut and paste from HydePark's BeChadrei Charedim, but rather to awaken us all to the travesty that has befallen our people. The travesty I speak of is the rise of Snagdism as the dominant force in Israel. Snagdism was thought dead not long ago, especially 30-40 years ago, but we've let it lay dormant and grow. We allowed it to gather its strength and rearm, and now look where it's gotten us. To the point that others who disagree with them are "UmMentschen", and deserve as much mention as roadkill. 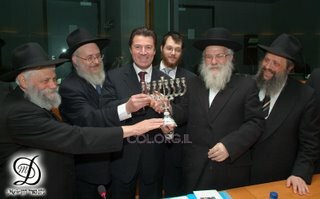 Yaakov Salomon wants no public Menorahs, and he's got a cockamanie reason for it too. "The whole idea of a public menorah is "counter-intuitive", he says, because Chanukah's about "strengthening ourselves from within." What in the world is that supposed to mean? 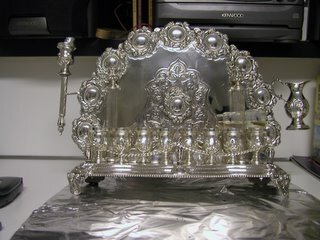 He asks: 'Do we REALLY need a Menorah at an airport, or at the White House, or in public places? "Is this what Chanukah is all about?" "Let's not try and compare ourselves to other religions." (As if somebody in Lubavitch decided to Ch"V equate Chanukah to other winter holidays.) It's not very often that you hear so much -------- in so little time. So this genius, whose qualifications include being a PSYCHOTHERAPIST/SOCIAL WORKER for heaven's sake, sees no need for it. Fine. But only a total idiot, and belive me he's an idiot if he's in the Kiruv business and fails to see the value of public Menorah lightings, could totally ignore the point of what great Pirsumei Nissa these things are. So blinded is this man, and the organization that he works for, by hatred towards Chabad, that he feels the need to show the virtual world what a genius he is. And of course, all in the name of "authentic" Judaism. Now he's getting all defensive in his message dated Yesterday, and uses the "some of my best friends are Chabad" excuse. QUOTE: "accusations that I am anti-Chabad are reckless, misguided, and patently false. I am permitted to dissent with the public menorah policy while, at that same time, appreciate, commend and support their incredible efforts throughout the world on behalf of the Jewish people. I have many friends who live and breathe Chabad philosophy and know many who have benefited from their dedicated Outreach efforts." I guess he couldn't take the heat after all. See my problem with getting my Hashkofoh from Artscroll? Salomon is an Artscroll author, and as much as I like some of their work, much of it is slanted very heavily towards a certain stream. Which is fine, since they ARE a private, money-making venture, with few other motives than to make money. 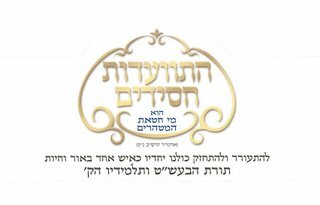 "Yeshivas Derech HaMelech is a new Torah learning center in Jerusalem that offers the mature and experienced English-speaking bachur an intensive learning experience, where he can grow into his full potential, in an inspiring atmosphere that stresses diligent Torah study, together with simcha, tefillah and avodas Hashem. This video includes HaRav Moshe Weinberger, shlit"a, Rav of Congregation Aish Kodesh of Woodmere, NY; HaRav HaGaon R' Moshe Wolfson, shlit"a, Rav of Congregation Emunas Yisroel of Boro Park, Brooklyn, Mashgiach of Yeshivas Torah VoDaas; HaRav HaGaon R' Tzvi Meir Zilberberg, shlit"a, Rosh Chaburas Nachlas Yaakov of Jerusalem; HaRav HaGaon R' Mordechai Zilber, shlit"a, Stuchiner Rebbe of Congregation Toldos Yehudah in Boro Park, NY; Rabbi Dr. Abraham J. Twersky, Ph.D., shlit"a, Founder of Gateway Rehabilitation Center, Pittsburgh, and many others." Documents of Nazi atrocities during the Holocaust were kept locked for decades. Now that the archive is being made public, Scott Pelley brought three Holocaust survivors to examine their records. I'm sick in bed since Tuesday night, hence the lack of activity here. I don't like to make this blog about myself, but I feel like I need to excuse my absence. Shabbos Chanukah In Bett? You bet. Kam, Kam Getzunden licht. I know that you are a person who appreciates a person's roots and where he comes from. I too have this appreciation. Not too many people today have this in them. I want to share with you a bit about my Bubbeh, I think you'll like this. My grandmother Zelda Nemes (Kaminetzky) was born in Klimovitch White Russia in 5695/1935. She was the youngest of 5 children born to Hachosid Reb Moshe Zalman Kaminetzky. 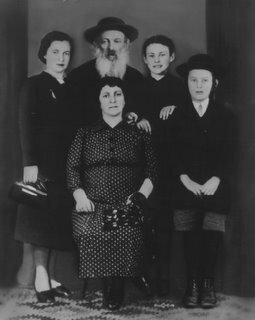 Her mother Risha Rivkin was the 6th generation descendent from Horav Hagoan Mordechai Baruchovitch the brother of the Alter Rebbe. Her father Moshe Zalman Kaminetzky was known to be an exceptional Chossid totally dedicated to the cause of the Frierdiker Rebbe. He was a baal nigleh with a razor sharp mind and tongue that could rip one to shreds. My grandmother inherited both these traits from her father. cold floor in Samarkand while the other Lubavitcher Chassidim were dancing away in a Simchas Torah bliss outside her house, oblivious to their situation. Living such a life usually produces tough character and my Grandmother sure fit that profile. No one ever got the best of her. teachers and principals, many who applied her method of education to their own classes and schools. She taught in both Bais Rivka in Lubavitch and Bais Yaakovas well as Manhattan School for Girls.She taught THOUSANDS of girls, bli guzmah. 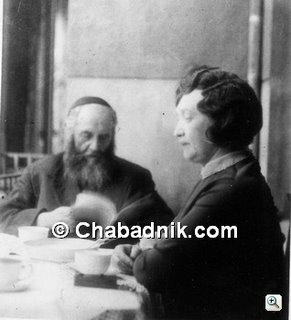 She had a very special relationship with the Rebbe’s mother, Rebbetzin Chana. She used to buy her hats for her and she was often called by Rebbetzin Chana to help her get dressed for weddings and outings. the president of N'shei Chabad throughout the 80's, and I found in her drawer yesterday, michtovim kloli'im that the Rebbe gave to N'shei’s convention with his holy signature in English. She deeply loved her grandchildren and great grandchildren. Whenever I brought my 11 month old son over she literally looked healthier on the spot. Her face would light up like a candle. She was a very unique woman, old school but so on the ball. She will be sorely missed. May she be a M'eilitzoh Yosher for all of us. Do you want a tie with that? 1. 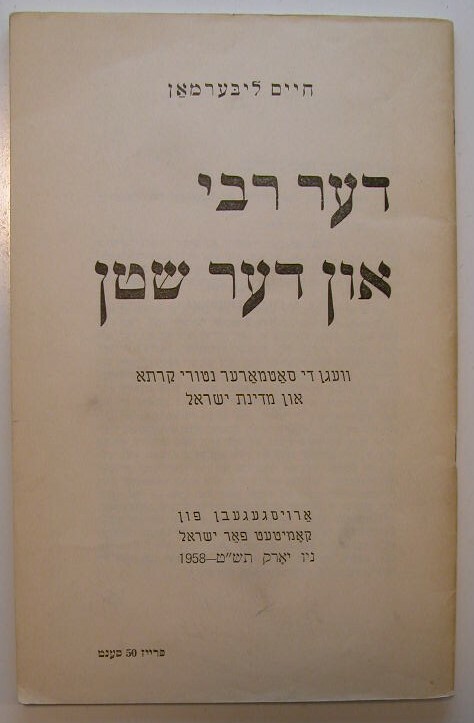 The bochur is convinced and lives a life of kedusha-less rules – a guf without a neshoma – eventually becoming a baal habayis without even a small amount of Yiras Shomayim. 2. 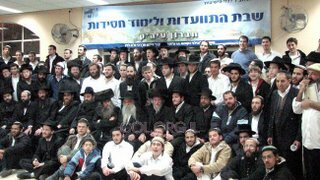 The bochur finds Chassidim that show him another, perhaps more spiritual, path – and the bochur leaves the ranks of his rosh yeshiva. 1. Chassidim are Am-Haaratzim that don’t know a word of Torah; they are blatant violators of halacha. They have perverted the derech hayoshor of Yiddishkeit. 2. Chassidic seforim and Toras hachassidus in general is unnecessary, since it is only basic penimius haTorah, which is available in many other better seforim (and Chassidim stole it from the stam yeshiva world anyway). And they proceeded to teach sections of Nefesh Hachaim, Ramchal & Rav Dessler as the better alternatives for those with interest in Chassidus. 3. Lubavitch is the worst of all possible derachim – to be avoided at all costs. 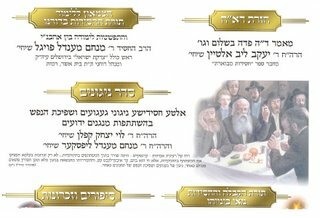 No unmarried girl should C”V light a Shabbos candle like Lubavitch promotes, and if they have to light, because they don’t have anyone to light for them, then they must light 2 candles, not 1 candle like the am-haratzim in Lubavitch do. 4. For Halacha, the primary sefer of significance should be Chai Adam. I could go on, but you get the idea. I was a bit surprised that this indoctrination is so blatant, but I guess the battle lines are pretty clearly drawn. I guess Yiddishkeit has become little more than ideology to the leaders of the Litvishe Modsos Hatorah out there. "As Mindel Appel showed me the contents of her freezer, my pulse began to race. Out came her homemade kokosh cake, similar to babka. 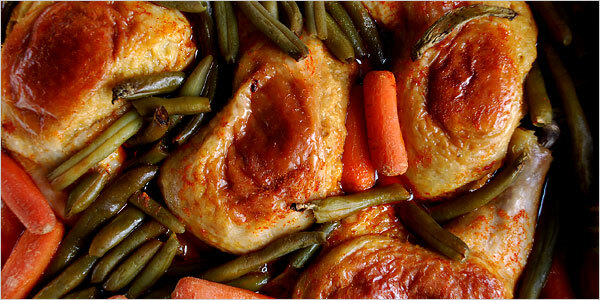 Next were shlishkes, little potato dumplings that can be tossed in sugar, breadcrumbs and butter, or stuffed with lekvar, a kind of prune preserve. Finally, she brought out a Hanukkah delicacy, the cheese Danish called delkelekh." "You know, you have over 10 pictures of the Lubavtcher Rebbe in your home." I said: "Interesting, I hadn’t ever counted." He said: "So, you really think you need that many?" I said: “I probably need more." He said: "Why would you?" I said: "Because I often forget the proper way to behave - I'm weak that way - if I would see a picture of a tzaddik this helps me. Those who don't have my problems don't need pictures - they themselves are their own Rebbes. You probably fit into that category"
He said: “I have no pictures of Rebbes in my home." I said: "I thought so - you have a mirror instead, right?" He was speechless, so I smiled and said, "What were you asking again?" No big deal. But since then I’ve noticed that this is not an exclusively Chassidic practice these days. I see picture books of Litvishe gedolim past & present and I see homes with pictures of many Roshei Yeshiva and Litvishe figures. Why, on my block there is a house where they make a minyan for ma’ariv Motzoi Shabbos; I have been there a few times – a very nice Litvishe guy, described by a fellow there as the “last bastion of normalcy in an ever growing Chassidic Brooklyn” (they daven nussach Ashkenaz, of course) – and I noticed the pictures on the wall of the Vilna Goan and a couple other Litvishe figures, and it stuck me as odd: Since when did the Litvishe make their godolim into Rebbes? How old is this custom if hanging Litvishe gedolim on the wall? Does anyone oppose this practice? Seems to me that this is an example of the world we live in: Oppose, lose, adopt the approach of the enemy, claim them as your own, claim yourself the victor. Yea, yea, politics as usual I guess. But I wonder, isn’t there a Litvak out there saddened by this? But it’s really not the same anyway. 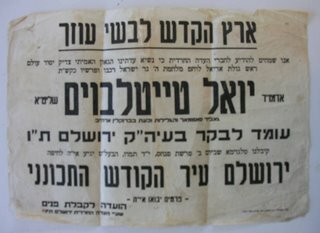 When a Litvak hangs a picture on his wall, it doesn’t mean the same thing – they weren’t brought up with the concept of a Tzaddik/Rebbe figure. I have an old friend from 8th grade - a Litvishe fellow; we don’t live close to each other, but we were good friends. He got a job as a rov out-of-town, but he would come to visit me from time to time. We spoke quite a bit, and I found it odd that in his life – even though he would, from time to time, speak to his former Rosh Yeshiva – he was quite sure of himself as the sole decision maker. He was very confident that as a rov, he was above the masses and atop the community. He isn’t an ego maniac or anything – he’s a very down to earth and friendly guy, but he doesn’t have the concept of bittul to someone else. In truth, the vast majority of Litvishe folks that I’ve known – quite many – don’t relate at all to the concept of our individual smallness. It seems that without a Rebbe they don’t really have to take a backseat to anyone, so, they have a much easier time being comfortable putting themselves on equal footing with anyone. This seems to be somewhat of a Korach-ian ideal: who needs Moshe and Aharon? Veameich kulam kedoshim! Isn’t there something terribly lacking when the concept of tzaddikim is eroded to the point that we are all on one level? I know that Mussar deals with this, but I haven’t seen it in practice; I went to some Litvishe yeshivos, and I lived near, and was friendly with, many fine Litvishe Yidden, but I feel bad for them in this way – you just can’t have it without a Chossid-Rebbe concept. This is not to say that everything is rosy in Chassidic-land, but on the conceptual level, this is a sad lack for them to live with. I welcome Mekushor, editor of the Berl Yomi, to Circus Tent as a Contributor. His first post will follow shortly. May he have much success in all his endeavors, especially this all-important one right here. Look for the name at the end of post to see whom to attack in the comments section. 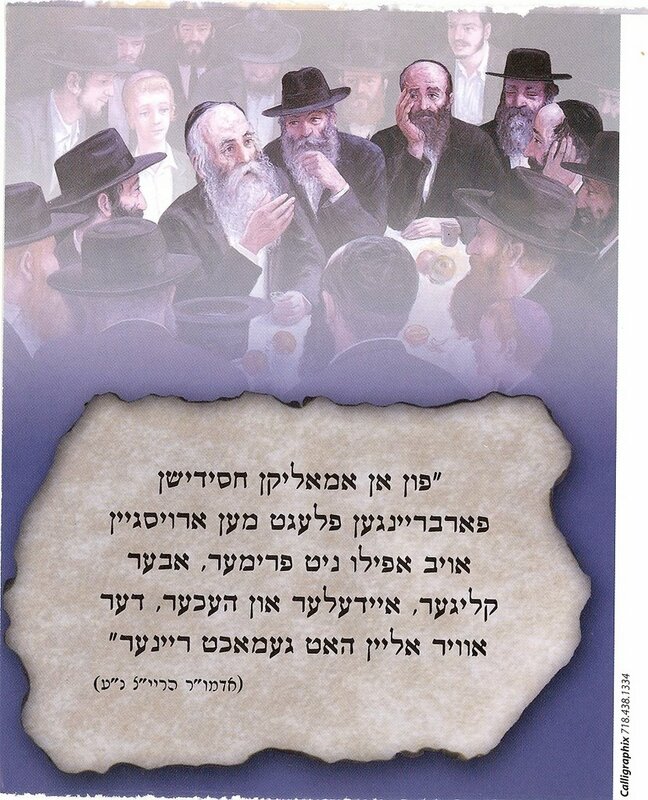 The Lubavitcher Rebbe saw fit to mention this fact (the Kastner train) when in 1967 Satmar condemned the Rebbe for saying that the victory of the Six-Day-War was a Neis Min Hashomayim. The Loshen was something to the effect of "He was rescued by Kastner and they make a Seudah till today in Williamsburg!" More on the "Kastner train"
so far, some 50 years ago a Hasidic family from Bnei Brak gave birth to twins. One of the twins died immediately after birth and doctors later informed the couple that the other child had also has passed away and had been buried. Doctors told the family that the baby had become ill and his condition deteriorated until he met his death. The stricken parents had no choice but to accept the news, however reportedly they always bore a persistent doubt as to the circumstances of their child's death. This doubt was reinforced some 18 years later when the "dead child" received a military induction order. The shocked family attributed this to nothing more than an unfortunate error. About a month ago, in a Canadian city, thousands of kilometers from Bnei Brak, an only child opened his mother's will after she passed away. The words darted in font of his eyes and almost made him faint. "You are a Jewish child from the city of Bnei Brak in Israel," it was written in the will. "We adopted you when you were just a few days old and we raised you without revealing your true identity. You are now entitled to know the great secret we kept from you." The surprised son, who was raised as a non-Jew, didn't waste time and set out on a voyage to trace his biological parents. The man in question, who works at one of the important intelligence agencies in a Western country, was quick to find his Jewish family at the Satmar community in New York, where they moved to from Bnei Brak. The mother passed away four years ago and the father is now 85-years-old. Besides the twins, the couple had an additional 11 children throughout the ensuing years. Two weeks ago, the man made contact with one of his biological brothers in New York, he recounted his story and asked to meet. At first, the shocked brother found it hard to believe the story, but ultimately agreed to meet his "brother." Upon their meeting it became quite clear there were clear physical similarities between the two. For the past few days the man has been undergoing a series of genetic tests to determine his true identity and his connection to the family in question. Only after receipt of the final results will the brother tell the elderly father that his lost son has been found after an absence of 50 years. 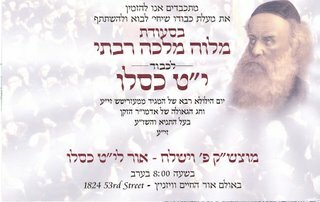 It will also become apparent whether this man's story is the Satmar version of the missing Yemenite children in Israel. We had a quasi-reunion at the Vizhnitzer hall in BP. People coming over telling me how much they appreciate what I do, it was almost embarassing to hear so many compliments. I also heard some criticism, namely to tone down the "Snag" rhetoric. It was great meeting you all there. Recently we've been witness to a new phenomenon, namely Baalei Tshuvah retaining a part of their former lifestyle. Whether it's rappers or beatboxers, boxers or otherwise, they continue to supposedly use their talents and "flip it to Kedushah." That never happened in the old days. In the old days in Hadar Hatorah Reb Yisroel Jacobson made you cut your long hair off and conform to the rules of Yeshivah. Yes, you could keep your musical instrument, but you played Chabad Nigunim and joined a Chasidishe band. If you were an artist you focused all of your energies into painting the Chasidic lifestyle. Today you do what you want, all the while staying frum, of course, and giving the youth the insipid idea that the two go together, and that pop culture will have no influence on their practice of Yiddishkeit. The examples are many, and I believe I can trace all of these back to uneducated and unlearned leadership. 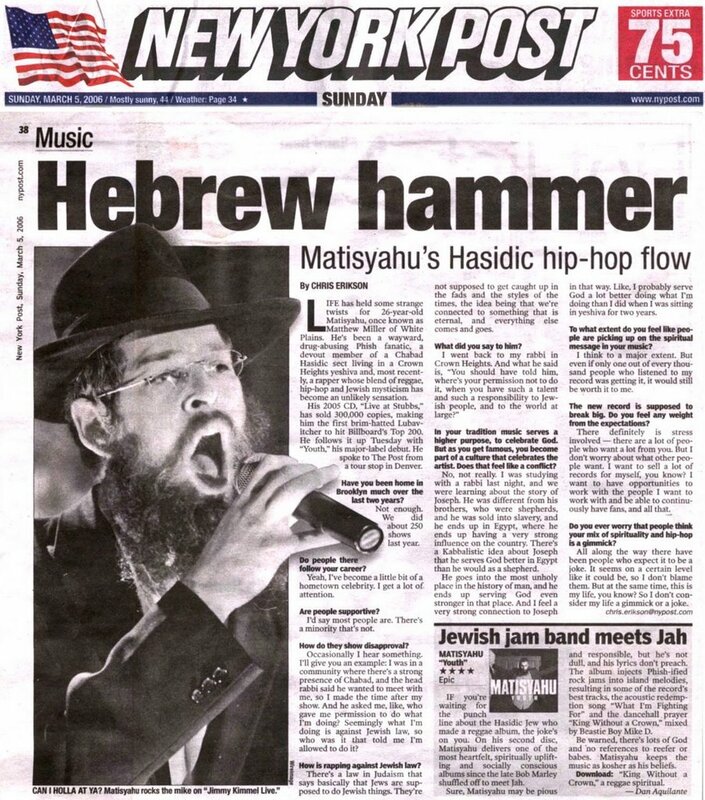 We can start with Matisyahu, go on to Jew da Maccabi, and on and on. If it were just plain Mekurovim who go on to become more observant, but remain within their old framework החרשנו, but this is different. Here we speak of Baalei Tshuvah who parade around as Lubavitchers, mit di shmeyne begodim, yet they remain very much connected to the outside world. They pepper their repertoire with Jewish, Chabad, and Rebbe references but the affect is the same. It opens up young impressionable kids to a world they need not know about, and that indefensible. Why must little Zalmy know about reggae and beatboxing, because Matisyahu does it,and he sports a berdel? Why do I blame BT Shluchim? It's very simple, they lack proper Shimush, sometimes being Frum for just a couple of years, and they decide on major policy in Lubavitch. Chinuch of our children is no less important than who becomes Rov in CH or which ad goes into the New York Times. Allowing for such otherwise good people to continue with their now unacceptable lifestyle is a major policy shift. If his Mashpiah in the Village decided that it's OK for him to continue, and this carries into Lubavitch and Frum society as a whole, then we've got ourselves a big problem. Rappers and similar performers must be taught that what they did till now has to be left along with the other sacrifices they made, and if they could leave non-Kosher food behind then they could do without their rap music. Oh, and please don't tell me that the Rebbe said to utilize everything for Kedushah, I don't want to hear it. "A day that will live in infamy." This seems to be a mix of real and re-enacted scenes. The story here, as printed in the Algemeiner. The Conservative movement’s highest legal body moved to allow commitment ceremonies for gays and the ordination of gay rabbis. The Committee on Jewish Law and Standards endorsed three opinions Wednesday on homosexuality. Two other opinions that were under consideration, which would have removed all restrictions on gay activity, were declared takanot, or substantial breaks from tradition that would require an absolute majority of the committee members for adoption. Last year TA showed up and was shocked by all the non-Lubavitchers he saw. We met and spoke for a bit, a post ensued. What never ceases to amaze me is the fact that thousands show up every year, even after 10 years. The fact that it's Motzoei Shabbos helps, but is not the only factor. 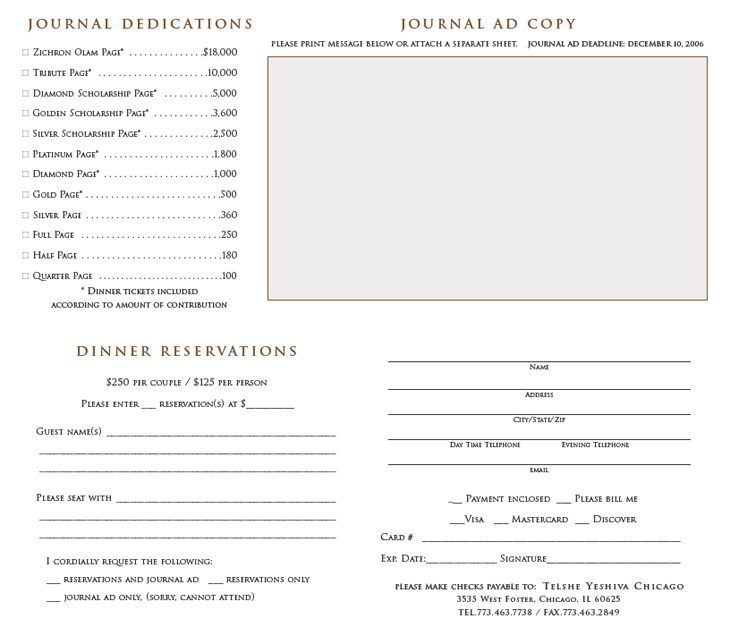 I cropped the invitation, and posted it as would open, with the outside flap first, the inside flap second, and the outside last. 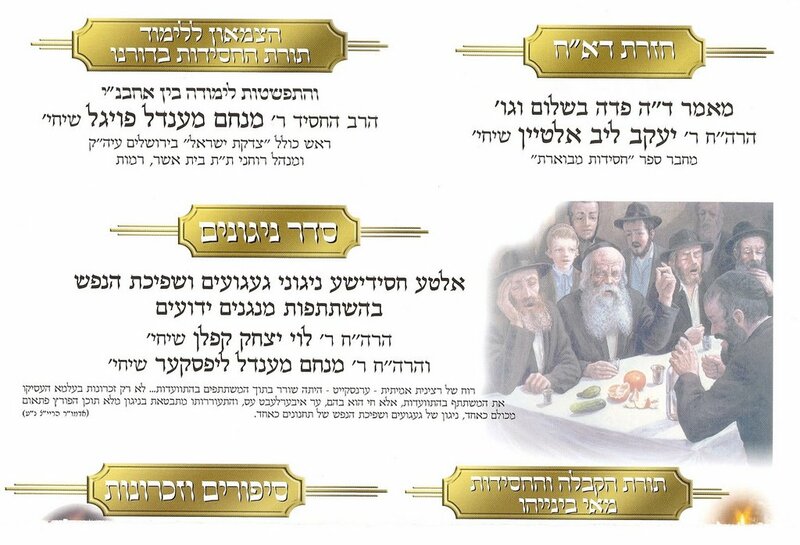 The Zalman Kleinman paintings give it the old Chassidishe Ta'am, and the pic of Reb Mendel brings up the rear. A nice piece of work. The "goody-bag" is well-stocked this year, and the food'll be just fine, so come on down and enjoy the warm words and Vareme Nigunim. It caught my attention because of a recent story I heard that was once printed in the Algemeiner Journal. Rav Soloveitchik of Boston would give a Shiur in Likutei Torah, the Ma'mar Ani L'dodi, during the month of Elul while vacationing in the country in Massachussets. I don't remember whether it was Cape Cod or Martha's Vineyard. This shiur became more intense as time went on, and it took more of the time from the Shiurim in Nigleh. There was one Talmid who was irked by the fact that the Rav was so excited by a Chassidishe Sefer, especially at the expense of "real" learning. One day he spoke up and voiced his concern to the Rav. "Why are we wasting our time with this, wouldn't it be better if we stuck to the learning of Gemoroh Taysfes? 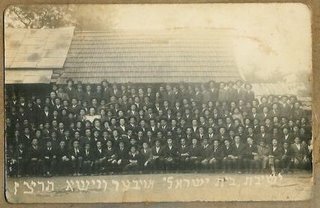 The Rav regaled them with the story by Yiddish writer --------------- of the Simchas Teyreh spent together by the Brisker Rov and the Bialer Rebbe, (characters may be different) where the joy of the congregation and townspeople reached the heavens. The dancing and merrymaking continued very late into the day, with nobody paying attention to the clock. Late in the afternoon the Brisker Rov began to get nervous about Mincha, but the dancing and singing would not subside. When he could not wait any longer he jumped out of his seat, banged on the Bimah, and yelled "MINCHA!" which immediately caused the dancing to halt. The Bialer Rebbe was quite unimpressed with this outburst, albeit for a good and just cause. He was to say: "Az Yidden Tantzen un Freien Zich Tzuzamen, un es kumt einer, takeh mit recht, un shtelt es op, iz dos Choshech!" The "Rav" turned to Menachem Genack and said to him: We sit here and learn this Maymer, and we bask in the glow of the light of Toras HaChassidus and you come and try to stop it. Du, Genack, Du bist der Cheyshekh! Rabbi Genack is a good guy, I don't mean to belittle him , Chas Vesholom, I just remembered the story while reading the news blurb, and found it a bit ironic, that's all. With whom do I speak? The blog has picked it up a notch these last few weeks, mainly since TA was kind enough to link to a Post by the Neo-Tzig, and then again after the unfortunate incident in 770 two weeks ago. However, I've noticed, that save for a few select bloggers the majority of the activity here happens only when Snags and politics are discussed, and more so when dirty laundry is aired or a Chabad Rabbi criticized. There have been times when a story does get attention, but even then it often stems from a tangential turn the story takes. We then have people that comment only a very particular issue. They're history buffs and such and they only comment when an historical question is raised. I understand the reason to comment then, but have they no other interests? Can nothing else be discussed here? Sometimes a guy can work for parts of 2 and 3 days till he puts together and perfects a thread, and to his dismay he gets only 6 or 7 comments! There's almost no worse feeling in the world. I don't mean to complain, after all; nobody's forced you to comment, and people have been very kind. I'm just venting a bit, it's way overdue for me. 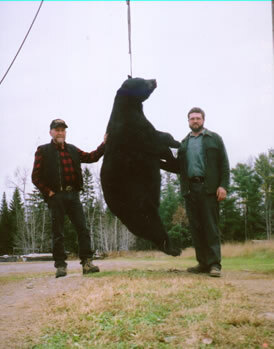 Friendly anonymous sent me this pic from the same site! 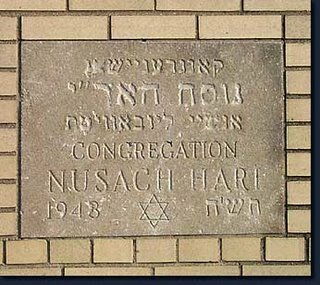 a "Nusach Hari" shul in Detroit now a church. Ouch! Then again this shul did not necessarily belong to today's Lubavitch, although the date on the plaque is 5708. They could not necessarily stop the sale of the building, unlike Stolin. Then again, maybe Stolin could not stop it either? I wonder if we know anything about this Lubavitcher shul. Any help would be appreciated. If it turns out that I was wrong about Stolin (and about Lubavitch, the shul that is) I'll be Mekabel Nezifeh. Comments on the shul: Just recently while I was riding my bike down 9 mile Rd in Oak Park. I saw the synagogue Nusach Hari. This is their second synagogue since they moved out of Detroit in 1958. This was my Zaide's schul which I occasionally attended. I had my "other" Bar Bitzvah there. My first was at reform Temple Israel. But, being the only grandson, I couldn't disappoint Zaide Levine, so I learned a second one. It was good for me. 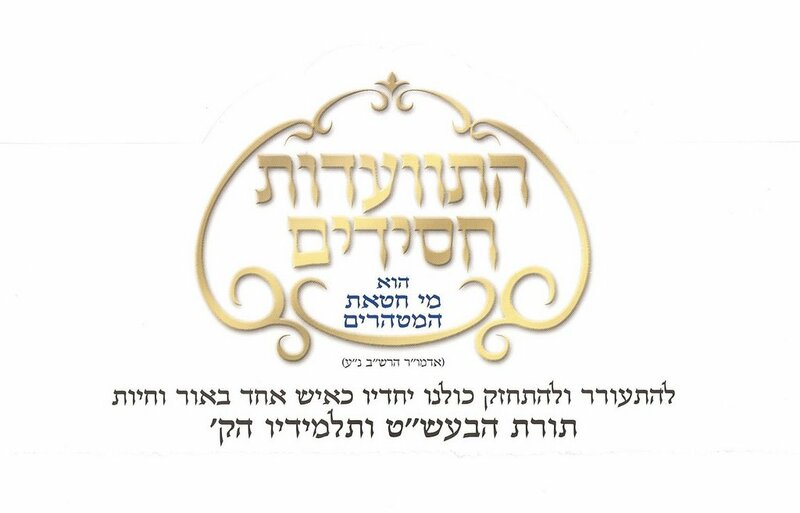 Lekoved 14 Kislev Shturem Continues to analyze wedding invitations. It's a little much if you ask me, after all, is there really a need for 100 different invites? But that's Shia Mondshine for you. 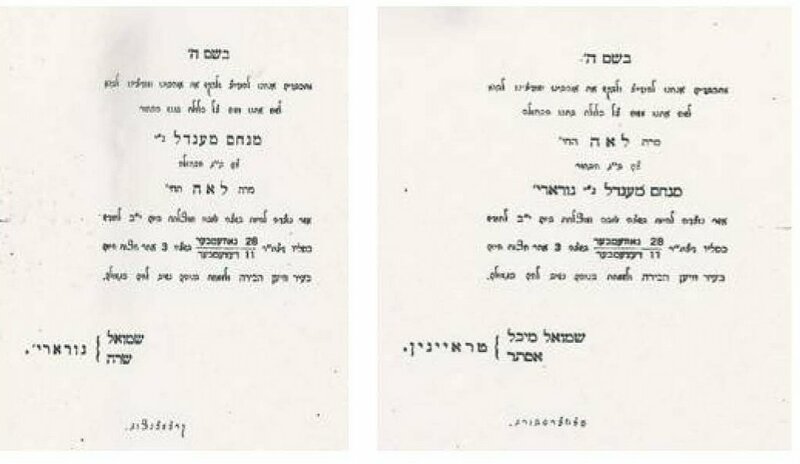 Anyway, Here's an eyecatcher: an invitation to the wedding of Reb Shmuel Gurary's son, Mendel. 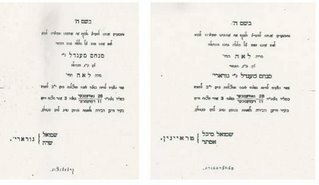 We see that each side sent an separate invitation with the Kallah's side adding the Gurary's last name when mentioning the Chosson, presumably for effect. Gurary is a better known name, I guess. 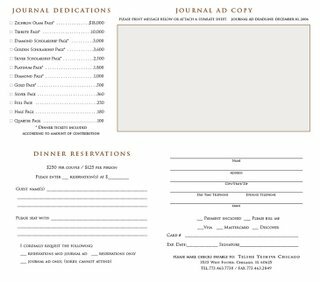 Besides for the simplicity of the invitation the one thing I noticed, and was not brought in the ensuing analysis was the appearance of a dual "secular" date. November 28th and December 11th. I know as much as that in Russia and in other Eastern Orthodox regions they still follow the old calendar, but only as far as when the Khugges fall out. They don't say that today is December 15th. Was this change made after the fall of the Czar, and until then they went according to the "later" date? Was the dual date only made for OysLand, so that they too should know the Gregorian date? Called the Stoliner Shul because the people who founded the synagogue came from the town of Stolin, Russia.From "The Lost synagogues of Detroit"
Related Article: My Neighbor, The Rebbe: The Stoliner Rebbe From Artcroll.com About Reb Yakov Chaim of Stolin, aka Di Detroyter, because he passed away while visiting this shul. It's stories like these that reinforce the belief in the Rebbe. 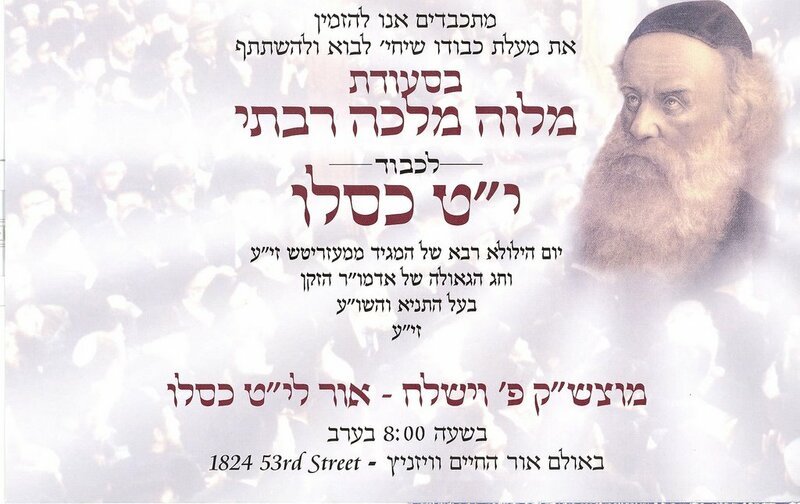 The Rebbe fought for every shul in Crown Heights, not allowing for the Shuls to be sold as churches Rachmono Litzlan, as they were elsewhere. 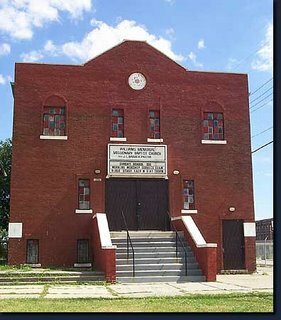 In the surrounding areas of East New York and Brownsville the Mogen Dovids are still very visible on the buildings, as are the Jewish stained-glass windows. Many times the battles fought for those shuls made enemies for Lubavitch that still do not forget. Just ask the Bostoner Rebbe's family, or the Spinker Rebbe's. But what would you rather see, the Spinker Rebbe's shul as a church? This particular shul in Detroit was still maintained by Lubavitcher Chassidim in Detroit until the Stoliner Rebbe sold the shul, just like he did to his Zeide's shul in Williamsburg. They still come every year to his Tziyun, but I guess they don't daven in the Shul anymore...Great Chassidim of his Zeide who still lived in Williamsburg never forgave him for that. Yom Tov Erlich even took him to Din Torah! But he lost (what else is new, eh?) I guess the few dollars are what's most important. I'm quite aware of the situation in Detroit, with all Jews running away like it was the plague or worse. But it seems like there could've been a more favorable solution for this shul. A church doesn't seem like a fitting ending for this house of worship. 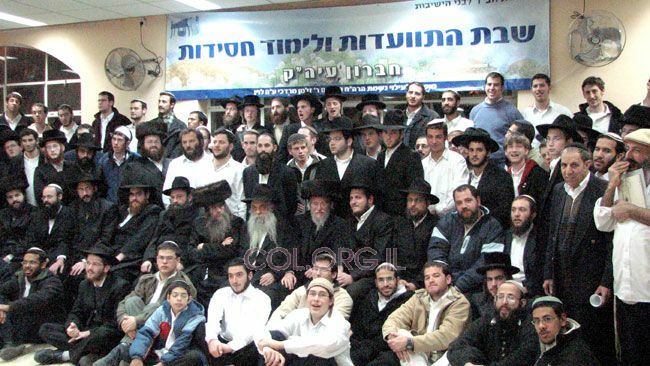 This shows that Chassidim can do Kiruv work, build communities etc without publicity associated with the Other group. 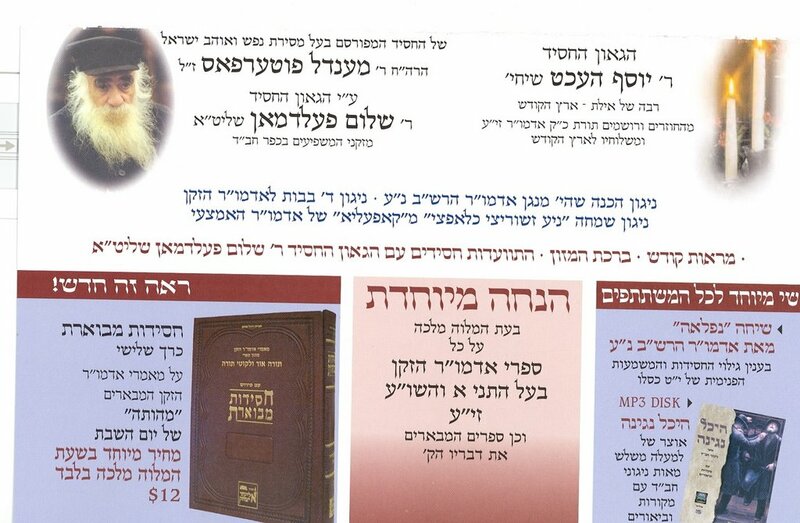 I can't even find a picture of the current Stoliner rebbe in the Karlin Gazette. If only it were that simple. With Karlin NOT taking pictures is their publicity. Meaning, that the whole shtick is for the Rebbe to stand there at all public appearances and cover his face so that Chas Vesholom nobody should take a picture. There's even a video clip at a Siyum Hashas in Israel where the KR stands there while all others are dancing and holding hands with his hand over his face! A Very strange pose, indeed. He took it from his Zeide who was very against pictures. In Karliner shul if they catch you taking a picture G-d help us. As far as Propagating their Rebbe, Lubavitch has nothing on Karlin. They're Farkeyft in him like no other. ,em>Mamesh a Kodeysh MeyRechem, based on a supposed blurb from his Zeide that he'll be born with a major birth defect. They threw Kvitlech into his crib! And all this without seeing Epes Gadlus in Teyreh or Aveydas Hashem like was seen in the Rebbe. They even have a Moshiach twist, singing ויצא חוטר מגזע ישי about their Rebbe. All they're missing is a little Sefardi and BT influx. I have a great love for Karlin. When in Eretz Yisroel I would go to the Tish every week. But don't judge a group you know very little about based on a visit to a website. This is the only result. Can anybody tell me why? What is it about Jewish writers that they feel the need to "expose" large corporations 70 years later? First it was IBM and their record-keeping devices. Now it's GM and their Opel cars and trucks. Jews don't buy Ford and Mercedes, although that may be limited to America. Are we forever to blame CEO's and board members that have long since gone and hold the current companies responsible? what did GM know — and when? I hate Nazis and such just as much as the next guy, but all this avenging, uncovering, and exposing can't be good for the already tarnished image of the Jew as a lover of Gelt. Edwin Black is the author of the award-winning “IBM and the Holocaust” and the recently published “Internal Combustion: How Corporations and Governments Addicted the World to Oil and Derailed the Alternatives.” Seems like Edwin's on a Jihad here. Let's see what he comes up with next. Ya gotta love how they link these barbaric acts by the (Goy) Litvaks to "revenge", a somewhat noble act. "Jews they believed to be Communists," Yeah, right. And my name is Lazar Kaganovich. Hungary was the only place in Europe (outside of Germany, but that's another story) where the Yidden spoke the Sfas haMedinah. 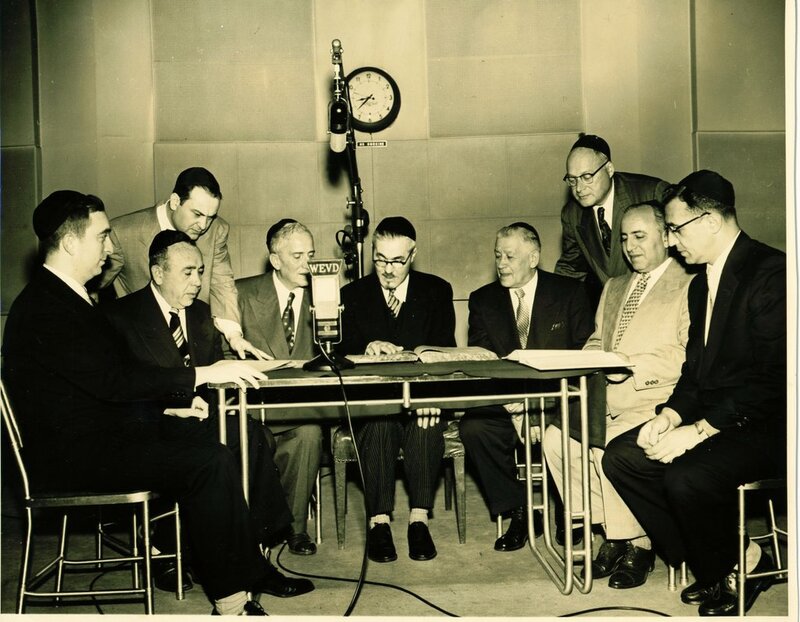 Not only did they speak the SH, but they new little Yiddish, especially the women. The Yiddish that they spoke was of the very German variety, so much so that a Russian/Polish/Rumanian Yid would probably understand very little. 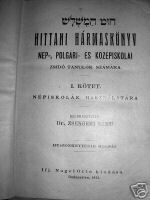 The need, therefore for Hungarian-language books was great. 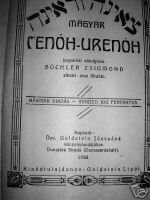 Most people had Hungarian-language Siddurim, Machzorim, and books. Can you imagine that in Poland or Russia?! a Yiddeneh in Poland reading the TR in Polish? never! Still, there was very little change in culture, especially amongst the Frum. Nobody actually spoke Polish at home or between friends. They didn't consider themselves Polaken. For some reasons Hungarians did consider themselves Hungarians, and do till this very day. Most first generation Hungarians, the children of the Survivors, speak Hungarian quite well because that's what they were spoken to by their parents. The same goes for many second generation descendants too. This is what Hertzel Apshan means when he says that Yidden in Marmures האבען זיך נישט מאדיאראזירט, They didn't become like their Hungarian brethren. Having said that, Hungarians still managed to maintain a high level of religious observance, faring much better than their Polish, Russian, Litvish, and Bessarabish/Bukovinish co-religionists, but there's more to that than meets the eye. Most of it can probably be traced to the fact that poverty in Poland/Russia etc. was far greater than in Hungary. Any collection of pictures, especially Roman Vishniac's, will attest to that. Polish etc. children were dirty (Kipshuto) and their clothes were tattered and rags. Hungarian children had decent clothing, for those days anyway, and were clean and kempt. A hungry child looks for food anywhere he can. Uri Zohar and Son debate religion amongst the palm trees in Jaffa where Uri lived before finding G-d. He was tired of the partying, the drugs, and the need to belong, so he gave it all up for a small apartment in Mattersdorf. It seems like the son has issues with Yiddishkeit, and his father tries to reason with him. Watch the video, it's a recording of a broadcast that was shown on Israel's Channel 2 TV. I never liked Uri Zohar. I found him to be "the answer" to Chabad Kiruv activities, and therefore an affront to Chabad. In 5748-49 he was paraded around as the solution to the Chabad "Kiruv" problem. They had him speak at the Degel HaTeyreh conventions telling the people not to be impressed by Chabad's Shluchim and Kiruv, because they did it all wrong. He instead had all the answers. That at a time that he was Frum for all of maybe 13 years. More on Uri from Wikipedia Hebrew. Over the years I believe he lost much of his anti-Chabad rhetoric and has begun to focus on true issues, namely that of Jewish education. He does run Lev L'Achim, which was originally set up to push out Reb Sholom Lipshitz from Yad L'Achim because he wouldn't be Mekabel Morus of מרן in B'nei Brak, but even LL has branched out into other activities. He was Aryeh Deri'i's main defender during his trial and subsequent jail time, and even would sit with him at the Yeshivah that they set up for him in prison for long periods of time. I have since been able to overlook his past indiscretions (I Mean as a Frum Yid...) and see him as a great asset to the Jewish community. Lubavitch cannot appeal to all Jews, so he does fill a great need. He has the know-how to reach the masses with his acting and directing background, and he does it quite well, using both humor and the mass media to appeal to an Israeli public that still loves him after all these years.